Yesterday was a day was filled with reflective moments. I popped in and out of this live stream of the 70th D-Day Anniversary celebrations. So many sacrificed so much. And I was reminded of that fact while hearing the stories of four American soldiers that were well enough to make the trip back to Normandy. Truly powerful stuff. You can watch the full episode here. Earlier this year I happened upon a birding book from 1902. When I opened the cover I found a yellowing piece of paper tucked against the crease. Based on the outlines that pamphlet left on the inside of the cover and title page, I imagine the thing had been left untouched in there for a significant amount of time. 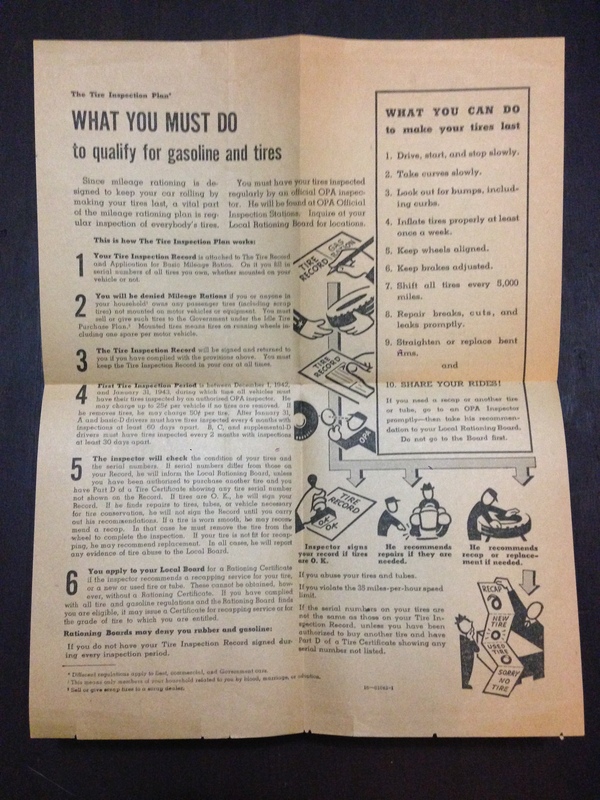 That little piece of paper happened to be a rubber & gasoline rationing pamphlet from 1942. I have yet to scan this document, but here are some rough shots. Also of note, the cover of the pamphlet has an illustration of a Japanese soldier by Edmund Duffy. 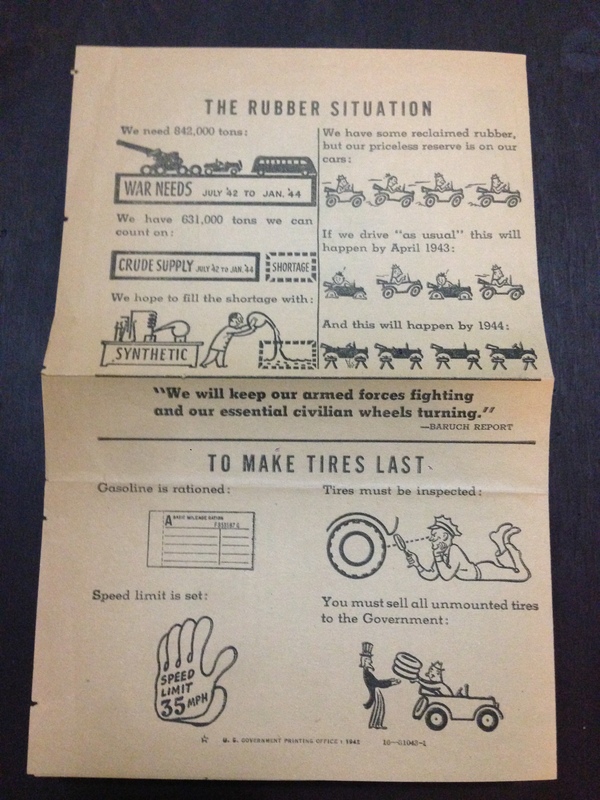 That’s for a later time as I need to research how best to preserve this piece of American WWII ephemera.